Welcome to the South Texas College Honors Program. Our mission is to provide progressive opportunities and innovative challenges to students who are highly motivated, intellectually gifted, academically well-prepared, and/or exceptionally creative. The program offers unique opportunities for enrichment that enhance intellectual development, good citizenship, and leadership skills. Students participating in this program are formally recognized for their academic achievements and receive benefits that help them pursue their personal, academic, and professional goals. 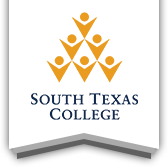 If you are interested in participating in the Honors Program at South Texas College and challenging yourself to acquire the best educational opportunities possible, get more information.